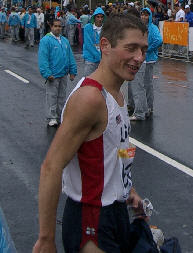 Frey '04 has the 23rd fastest entry time for the US Olympic Marathon trials, but after his 4th in the Pan-Am games is looking forward to a much higher finish which you can watch live (for free)at 7:25 am Saturday by clicking here. Come back to this website for an interview afterwards. If you've seen the new Sean Penn movie, "Into the Wild," or read the book with the same title by Jon Krakauer, you know that running was very important to Chris McCandless. Before he set off on his cross country journey he was coached in high school by Matt Murray '83 who is featured in this article about their time together. Thanks to Tim O'Dowd '80 for these pictures which can be found here and here at www.eliteracing.com. While the varsity runners were at the Pre-National meet, William and Mary showed its depth with redshirt athletes sophomore Charlie Swartz and junior Katie Endres leading the way. Next up is the CAA meet this weekend where the men will try to win their 15th title and the women look to defend their crown. The most recent poll of Division I coaches now ranks the men's team 28th in the US. The men are ranked 3rd in the Southern Region behind North Caroline State and UVA. The top two teams will receive automatic bids to the NCAA meet. Coming into college Emily Anderson '10 was a half miler who battled injuries and was more of an afterthought duing the 2007 XC season. But this past week, she led the team at the Pre-National meet and was selected as the CAA Athlete of the Week. Hear her interview here. Senior Ian Fitzgerald and Emily Anderson and were selected as the Colonial Athletic Association Runners of the Week. Check back here Friday for a podcast interview with Emily. In 19 days, Jacob Frey '04 will be running in the US Olympic Marathon Trials. After a 4th at the Pan-Am Games he is training well. Hear an interview with him here. The men's cross country team ran Saturday at the Pre-National Invitational, placing 11th in the 40-team "White" race. No. 20 Texas-El Paso won the race over No. 3 Colorado. Read more. The women's cross country team placed 24th in the 35-team "White" race. No. 8 Princeton won the race. Read more. Full men's results. Full women's results. Senior Emily Gousen (Arlington, Va.) earned her second Runner of the Week award from the Colonial Athletic Association. Read more. Likewise read about Ian's great week. 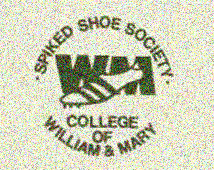 The William and Mary men’s cross country fell three spots in the national rankings this week, dropping to No. 16 after being upset by then-16th Georgetown in the Colonial Inter-Regional on Saturday. Read More. Coming into 2007, Ed Moran ’03 planned to focus on achieving the World Championships “A” Standard at 5,000 meters. Little did he know that in his first attempt he would earn the “A” standard and set a personal best en route to his best season yet as a professional runner for Nike. Read more.